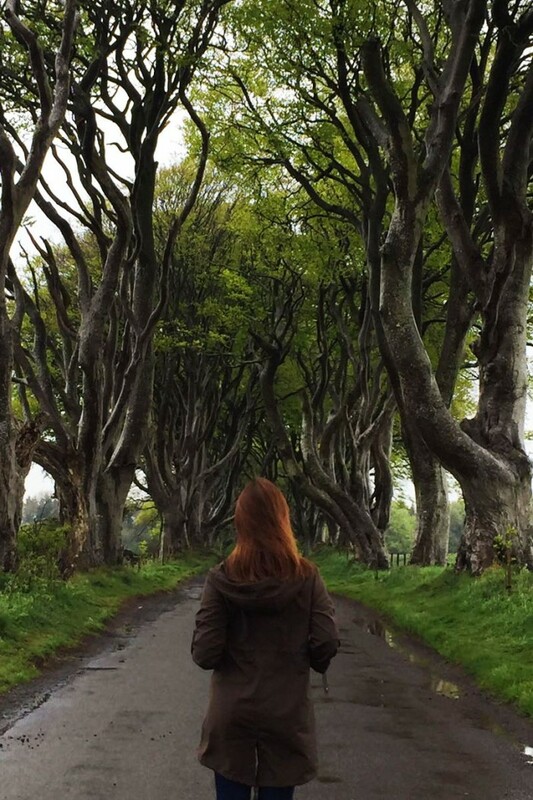 Every die-hard GoT fan must experience the Game of Thrones Tours in Northern Ireland. I haven’t met anyone, who has set aside a few days for Northern Ireland during a trip to the UK. Most of the people I know just stayed in England — London, to be more specific. Some — the more adventurous ones — ventured a little farther and drove all the way to Wales or Scotland. Not one has set foot in Northern Ireland! They reasoned that it was “out-of-the-way” since you would need to hop on a plane or ferry to get there. Thus, they just opted to skip it. I, on the other hand, didn’t care about how far or how challenging it was to reach Northern Ireland. Why? Because it had something the other regions of the UK didn’t have.. The filming locations of The Game of Thrones (GoT)! And being the obsessed fan that I am, I just couldn’t pass up the chance to visit the place, where most of the scenes in the HBO hit show are filmed, during my recent trip to the UK. It was a “now or never” decision for me, so to speak. And the moment I laid my eyes on the “Season 6 Stark Army” jacket our tour guide was sporting as he picked up our group from the Topshop Store in Chichester Street, Belfast for the first day of our GoT tour, I knew I made the right choice. 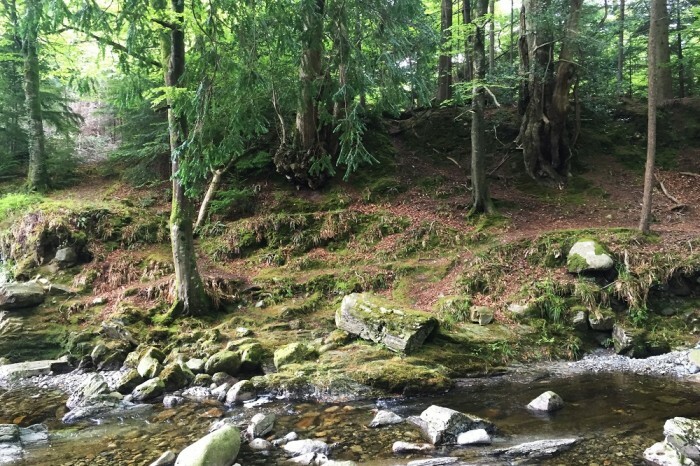 You’ll need two whole days to cover the major filming locations of the show — one day for County Antrim, located in the north of Belfast, Northern Ireland’s capital city, and another for County Down, which is in the south. 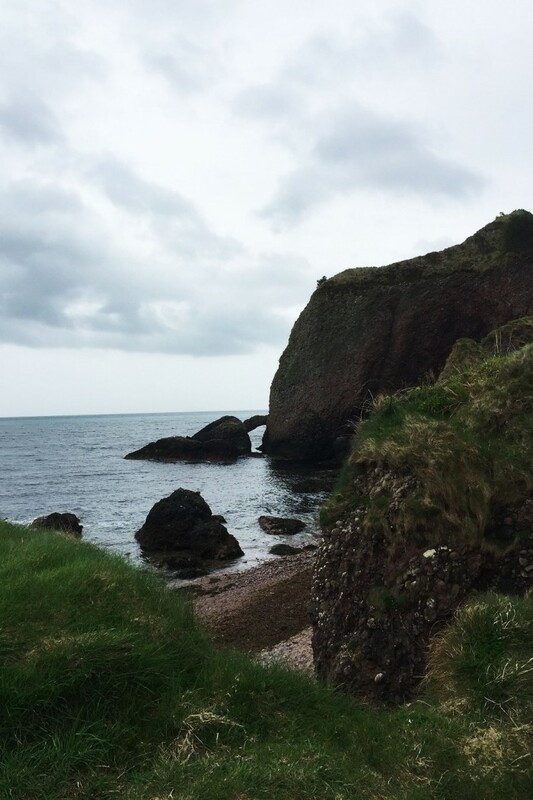 The caves in the coastal village of Cushendun is where Melisandre gave birth to the shadow creature that killed Renly Baratheon in Season 2. 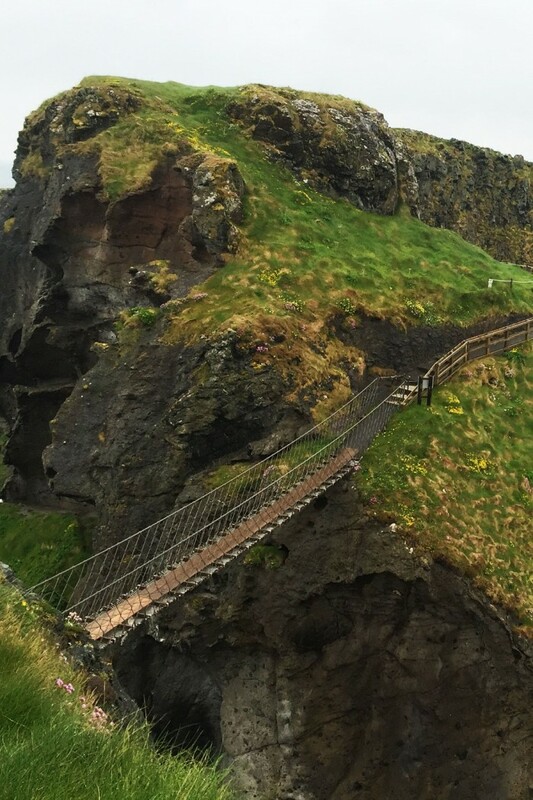 This rope bridge was built by salmon fishermen hundreds of years ago to connect the mainland to Carrickarede island. Visitors need to pay a fee (GBP 5.90 for adults and GBP 3.00 for children) to cross it. While it is quite terrifying as the bridge is 30m (98ft) to the rocks below, you’ll be rewarded with stunning ocean views when you get to the other side so I highly recommend that you give it a go. 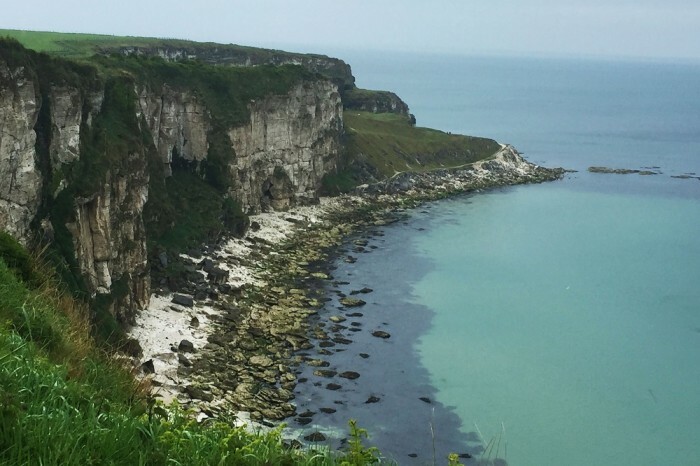 This is not a GoT location but it’s a must-visit in County Antrim. 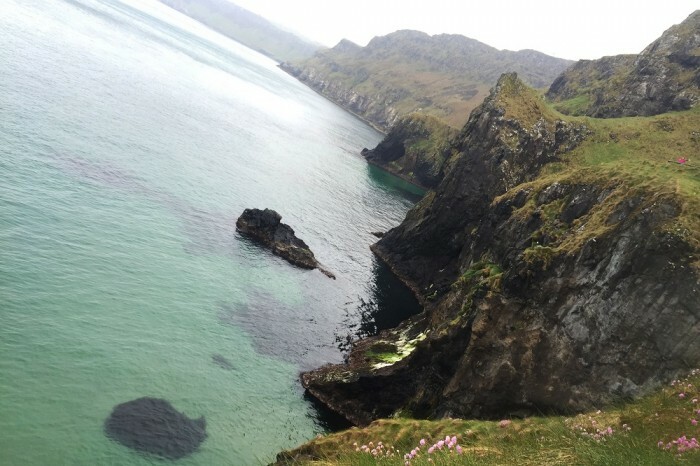 The chalk-white quarry on the cliffs facing Larrybane Bay is where Brienne of Tarth bested Ser Loras Tyrell in a duel in Season 2. This picturesque fishing harbour was used in a number of GoT scenes as it served as the main location for the Iron Islands. So yes, Alfie Allen, who plays Theon Greyjoy on the show, spent a lot of time here! 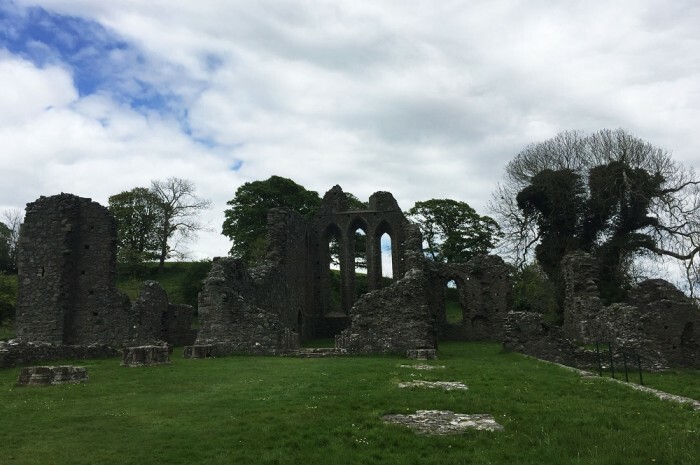 This is also not a GoT filming location but thus far, it is the only UNESCO World Heritage Site in Northern Ireland so you can’t miss it! 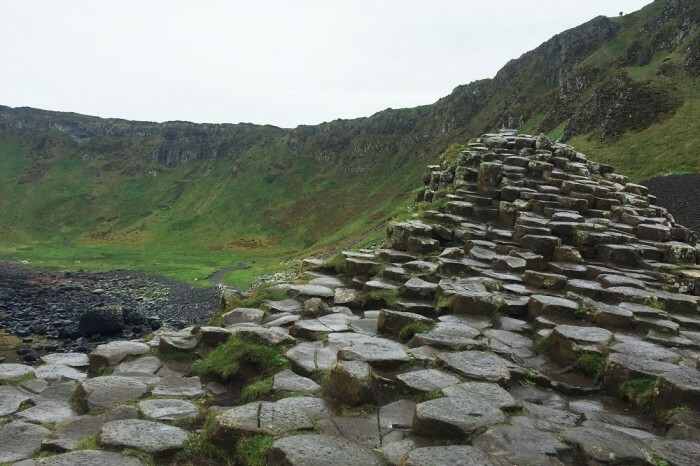 The creation of the basalt columns in this magnificent site has puzzled people for years. Although, according to Irish and Scottish legends, these are remains of a causeway built by a giant, hence, the name. This medieval castle, now in ruins, perched at the edge of a cliff in County Antrim, was used by the show for exterior shots of the House of Greyjoy. The quiet road lined with peculiar beech trees in Ballymoney is where Arya Stark escaped King’s Landing disguised as a boy in Season 2. 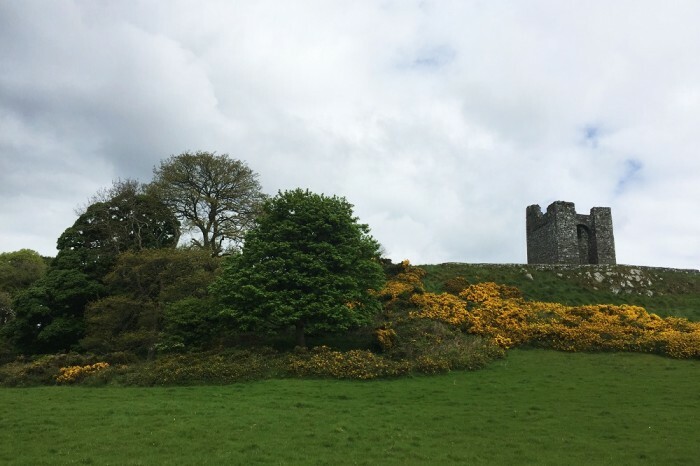 An entire morning must be dedicated to explore the grounds of this huge estate, where a total of 9 locations were used by the show, mainly for Winterfell exterior shots. Out of all the filming locations here, my favourite was the spot where Brienne of Tarth and Jaime Lannister encountered the 3 Stark banner men in Season 2. 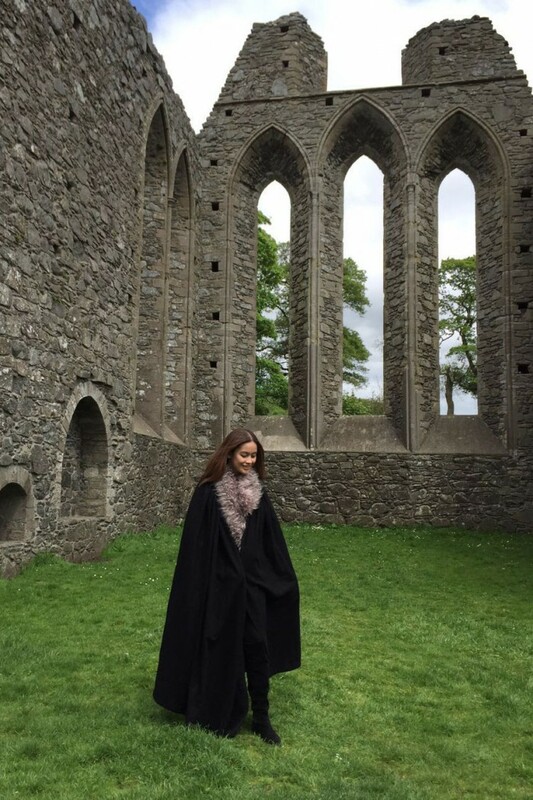 The haunting ruins of this old monastery is where Robb Stark was declared “The King of the North” in Season 2. 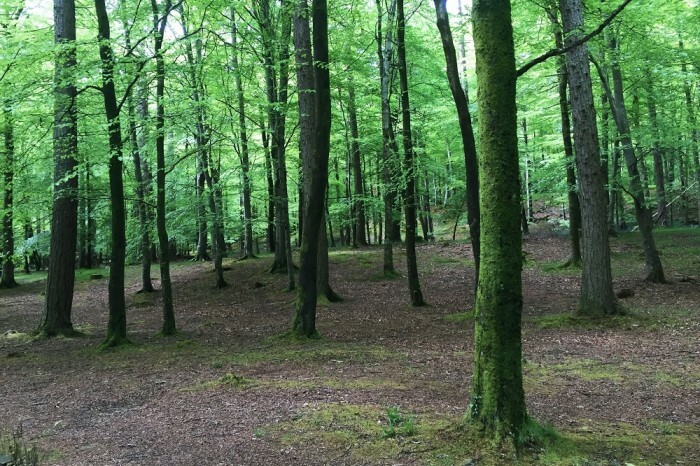 An hour of trekking is needed to cover this 630-hectare forest, which was used for a number of important scenes in GoT. Look for the exact spot where the Starks discovered the direwolf pups in Season 1 and the setting for the Pilot’s opening scene with the White Walkers. Tip: Although you’ll be travelling by coach to get to each location, you’ll need to do quite a bit of trekking to reach or to explore some of the actual sites. So I suggest you wear outdoor footwear such as sneakers or boots on both days. Also, as the weather in Northern Ireland can be unpredictable (but thankfully, not extreme), be sure you come prepared. Bring an umbrella and a waterproof jacket as it can definitely rain anytime. Please note that the tours are not recommended for children below 12 years old or people with limited mobility as they are physically demanding. There are a lot of operators that promise “the ultimate GoT experience” but I suggest you book your tours with Game of Thrones Tours, like I did. Although they are not in any way connected to or endorsed by HBO or anyone from the show, they still go the extra mile for their clients. 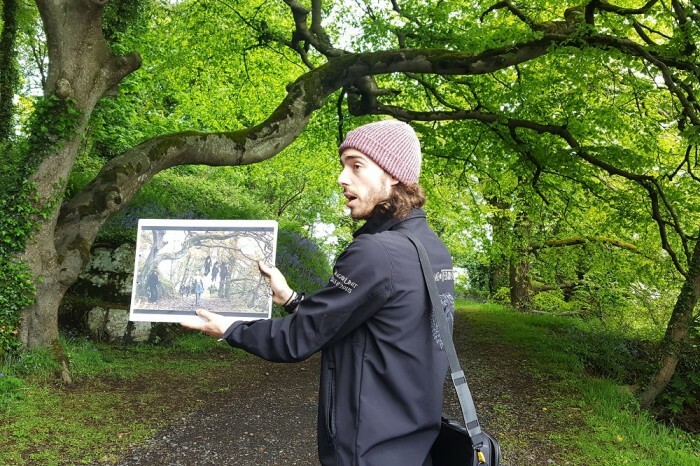 While other tour operators will just show you the filming locations and then send you off on your merry way after, Game of Thrones Tours will make sure you get an amazing, one-of-a-kind experience. So what made my tours extra special that I can’t stop gushing about them? Trust me, as soon as you step on the coach, it’s GoT mania! I usually try to catch some shut-eye on the bus whenever I go on tour but I made sure I stayed awake for this one as behind-the-scenes footage and certain scenes were played on the bus as it shuffled from one location to the next. Our guide showing us the exact filming location! They’re really funny! And passionate! Both of my guides have been extras on the show and are both grateful that they’ve been a part of it. I thoroughly enjoyed listening to their commentaries on the cast and the storylines. Season 6 has just started airing when I went and I liked that my guides, although very open about their experiences while filming, tried not to leak any spoilers. Besides, according to them, HBO wouldn’t hesitate to spend money on filming different versions of one scene so extras wouldn’t really know which storyline or ending would air on TV. I got to dress up as a Stark! If you take the “North of Belfast” tour, you’ll get to dress up as a member of House Greyjoy. For the “South of Belfast” tour, you’ll get to dress up as a member of House Stark, complete with a sword, shield and helm! Say hello to the direwolves! 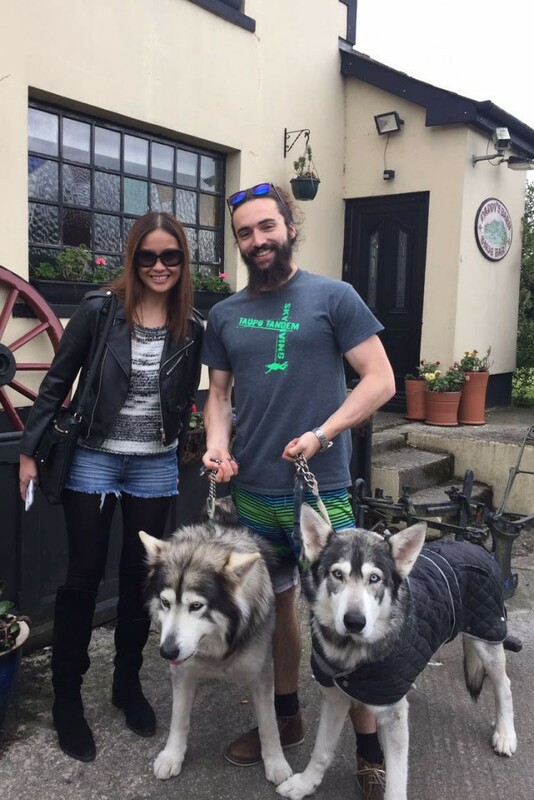 Meeting the two beautiful Northern Inuits, Odin and Thor, was the highlight of my 2-day tour. They played the direwolves, Summer (Rickon Stark’s) and Grey Wind (Robb Stark’s), in Season 1 — when they were still puppies. They’re huge and all grown-up now but they’re both gentle and well-behaved. I guess since they’re semi-celebrities now, they’re so used to people fawning over them! 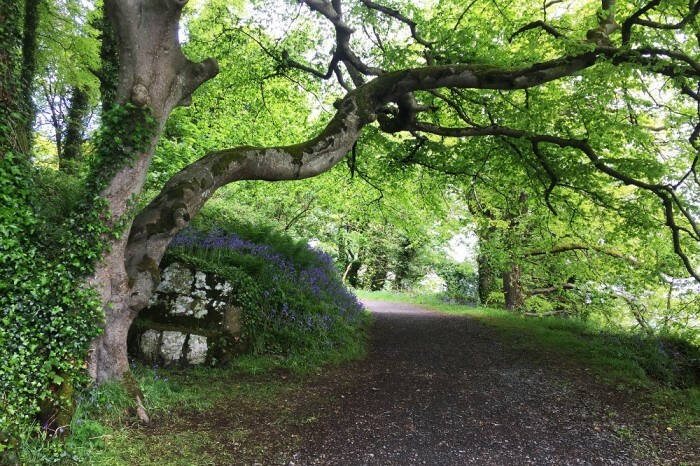 To complete your GoT trip in Northern Ireland, I suggest you set off to look for “The Doors of Thrones” as well. 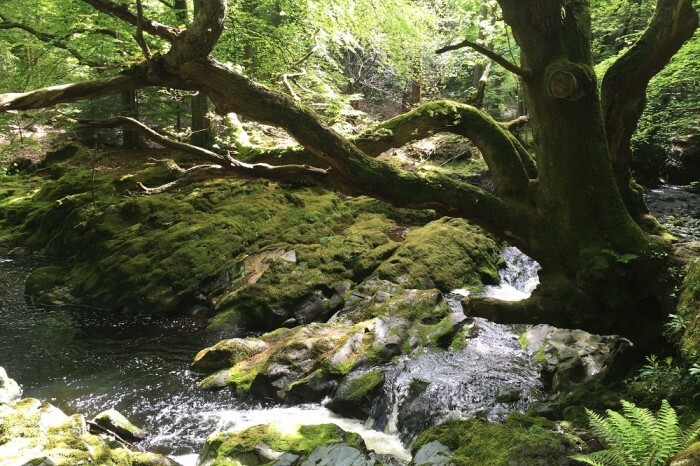 Remember the beautiful beech trees in County Antrim? Well, when Storm Gertrude hit Northern Ireland at the beginning of this year, a couple of trees got severely damaged. 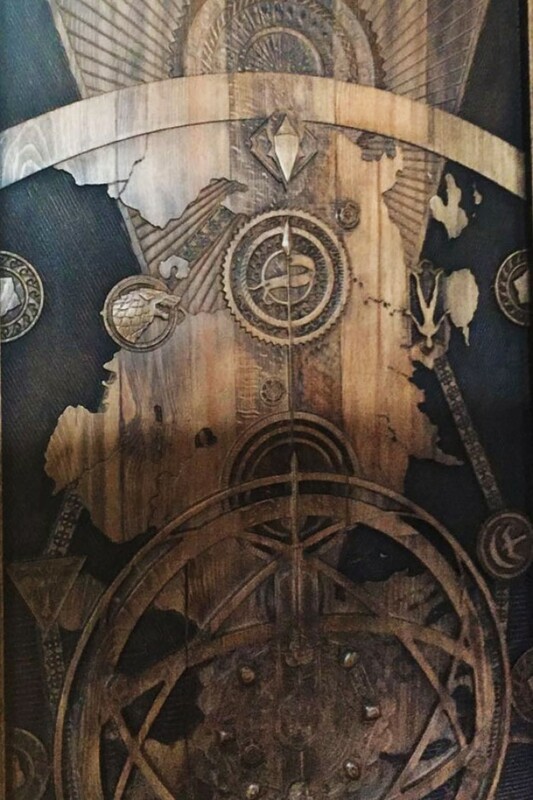 So Tourism Ireland decided to salvage some of the wood and turn them into 10 intricately-carved doors. Each door reveals an important scene from each episode in Season 6 so every week while Season 6 was still being televised, a door was unveiled. Unfortunately, I only got to see the first door — from The Cuan — as my visit happened before Season 6 finished airing. But please, if you get the chance, go and see them all! The carvings on the doors were made by highly-skilled craftsmen so they’ll blow you away!